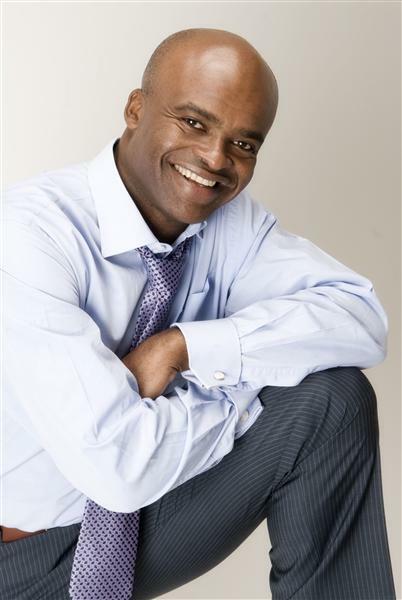 Aaron Wallis are delighted to detail seven great motivational tips from Olympic triple medallist and World Championship Gold medal winner, Kriss Akabusi, MBE MA. Kriss can be summed up in a single word, an inspiration. Winning 3 medals at the '84 and '92 Olympics perhaps his most famous moment as an athlete was helping Britain beat the Americans in the World Championships 4x400 metre relay in Tokyo in 1991. Awarded the MBE for services to athletics in 1992, Kriss embarked on a career in TV as a presenter of The Big Breakfast and Record Breakers. With an inspirational life story, Kriss now is a highly sought after motivational speaker and is a greatly qualified and accredited personal coach. An abundance of energy and positivity, Kriss runs the Akabusi Company which delivers workshops, seminars, coaching and team building events. In addition he is the founding Director and Chairman of TACT (The Akabusi Charitable Trust) which is striving to make the difference to poorer communities across Africa. If you've never been fortunate to hear Kriss speak make sure that you book him onto your next corporate event where you can be sure that your team will leave buzzing full of energy, excitement, positivity and inspiration for weeks to come! Kriss can be booked for motivational seminars, award ceremonies, celebrity speaking, sales launch events and more. Contact the Akabusi Company for more information. 1. The Past is for reference not residence. Develop a selective memory like world class sports people do and use the past as a powerful reference tool to inspire you in the present to build your preferred future. Extract only the positives out of your experiences, the learning curves from momentary mishaps, or diversion and use them along side your past successes as motivational tools in the design stage of future victories. 2. The essence lies not in the victory but the struggle, "Pierre de Coubertin"
World records are never set by the individual but the multitude of people who came before and those who compete directly with you in the arena. Just stay focused on delivery your personal best, enjoy the journey and just see what happens to your motivation you will learn like athletes do what matters is the lessons you learn the life you lead and by default if not design the legacy you leave along the way. Think of Pierre De Coubertin - who you may not have heard of, but he essentially invented the modern olympics. Identify potential with in yourself the moment and the others around you yes both your competition and the team mates with you. The present comes with a gift inside which you can apprehend with your intuition, your intellect, and your emotions. Together these things make up your instincts, trust them and let go of what is not working for you, hold on to the good stuff in your life, gather up new learning to build the better you so you can move on an apprehend you preferred future. You may also be interested in our guide on finding talent. Team work works is common knowledge but not common practice, Aristotle (dead by the way) words still live, "the sum is greater than its parts" hone your gifts, surround or immerse yourself with people whose gifts are different if not greater than yours, learn how to serve with you God given talent and be prepared to be surprised by joy as together you create something you could never do on your own. Be fully present in any moment, engage with all your heart, mind body or soul, remain focused, trust in the flow of things try to listen twice as much as you speak, (that's why we have two ears) and when you speak prefer to ask phenomenal questions rather than give your pat answers. Believe in the magic of life and that it has its own reason for your momentary engagements and that your unique presence is gift appropriate for just a time like this. Watch then as the right people come into your life. This biblical aphorism is key in all things with absolutely no exceptions. Success in business, sport and life is predicated on an over riding, powerful vision or dream that is so embedded deep in side you that it pours out of your pores, is mixed inside you connective tissue, and seeping through the marrow of you bones. You don't have to tell people what you are about, they see it, feel it touch it and smell it, your whole life purpose is etched right before them. 7. There is nothing so permanent as change so just get jiggy with it! You came into this world alone and so you must exist, there is no divine right, to excellence or permanence all is flux all is change, dealing with loss is life itself, and it is not what happens to you on the journey but how you perceive it and deal with it. You will lose loved ones, relationships, innocence, strongholds et al. but the person who sees the liberation in all things and the present, in the moment, has happiness in the palm of their hand. Change happens, see what businesses made the most change in 2017 here.